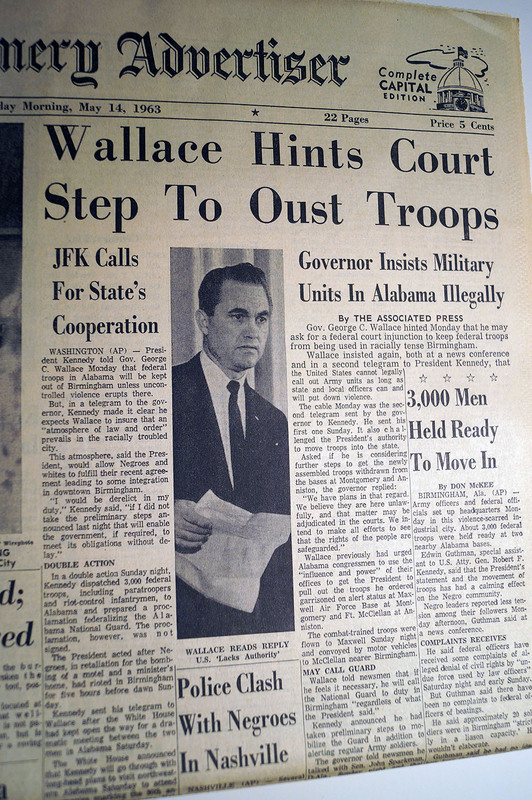 This May 14, 1963 edition of The Montgomery Advertiser has the cover story “Wallace Hints Court Order To Oust Troops” with subtitle “Governor Insists Military Units In Alabama Illegally“. 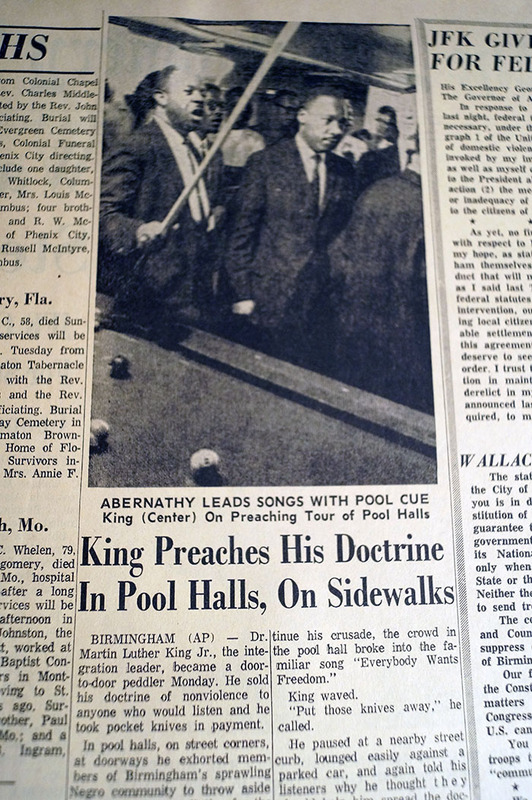 A unique article “King Preaches His Doctrine In Pool Halls, On Sidewalks“, describes the effort of the SCLC to protect the Civil Rights Movement from violence by preaching nonviolence even in the most unlikely places (and even collecting knives while doing so!). 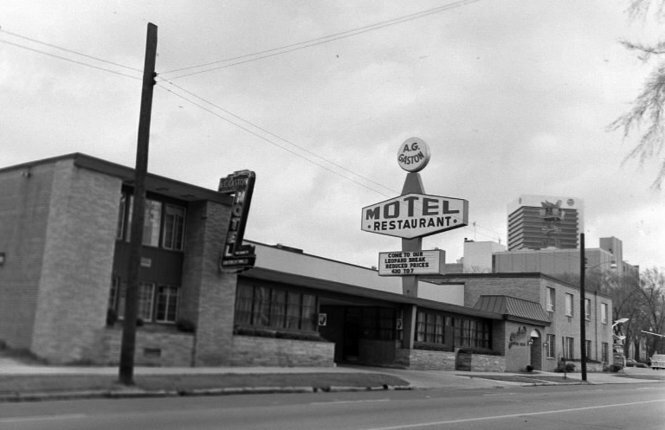 These articles depict the chaos following the bombing of AD King’s home (Dr. King’s brother) and the bombing of Dr. King’s room at the AG Gaston Motel (Birmingham motel for black customers), when the KKK thought Martin Luther King was staying there. This violence was preceded by the police dogs and fire hoses used on demonstrators in Kelly Ingram Park. 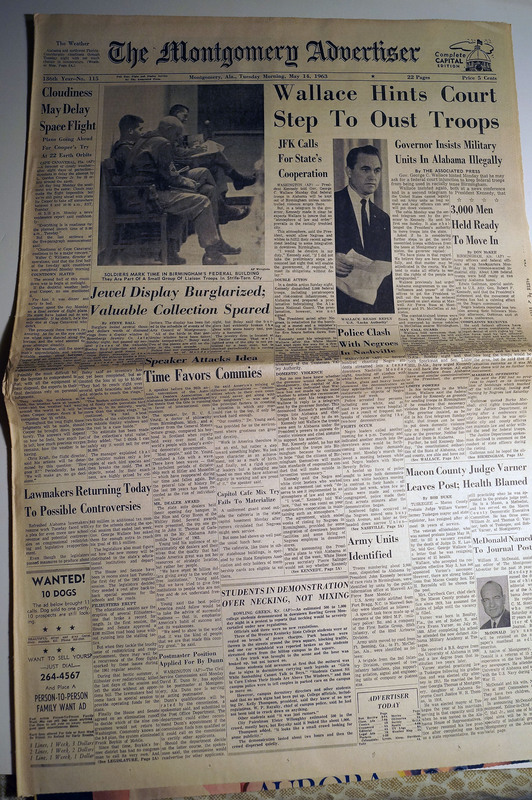 The articles describe the federal troops that have been sent to Alabama by Kennedy in an attempt to bring calm.